Many who read Pink Truth are lurkers or naysayers. They believe that MLMs really do work and that most of the people writing and commenting here are losers or whiners who just didn’t work hard enough. Maybe the naysayers just don’t understand that those of us gathered here are trying to share our experiences to represent the other side of multi-level marketing. Many who have come here have experienced serious debt and broken dreams. I am one of those who woke up to find that I had wasted a good deal of time trying to build an organization that would always have to be rebuilt over and over again. I speak not only from my experience in three different MLM’s but also as an older woman who has worked in many different opportunities throughout my life. There is no comparison between the money you can make in an MLM and the money which can be earned by a solid job. In fact, my husband told me that if I had worked as hard in a job as I had in my Mary Kay Career, I would have earned a lot of money without all the expenses, “the suit”, the car co-pay, the seminars and meetings etc. He was right! I am not an angry person, nor do I hate Mary Kay, but I do believe that the system on which it runs will only benefit the top 1% of the pyramid. Those who got in early will ride the tide to great wealth at the expense of those who are working at the lowest levels… or at least using their credit cards to support them with orders. Robert Fitzpatrick, an author who wrote “False Profits” says that around 99% of those who enter an MLM will not succeed. That is a pretty sorry record. When I saw myself starting to devote all my waking hours to Mary Kay, I knew it was either continue to pursue this endless recruit/sell/recruit cycle or enjoy my family once again. I could not do both and do them well. 1. You can make a six figure income. TRUTH: You have to be willing to sell your soul and try to buy the hearts of all your friends in the process. Remember,only a fraction of 1% ever make a six figure income. 2. MLM is without risk. In MK, we are told that the company will buy back your inventory at 90% of your cost. TRUTH: The company finds many ways to reduce the amount you get back by taking out the cost of awards, prizes, car expenses (if unpaid), chargebacks if any of your team members leave before they mail your check. They don’t refund any of your out-of-pocket costs for training, supplies, postage, gas, etc. and those add up fast. Plus, you face debt if you came in with a big inventory and cannot move it. I personally have several friends who moved up to directorship and are now in DEEP debt. They were not lazy and they made every effort to move up. But it does not work! 3. It is so easy to sell this product! TRUTH: The real target for purchasing the products is the consultant and her family members and friends. What happens after you sign on the dotted line is this: There is a switch to the idea that the MLM doesn’t so much want you to sell the products as sell the idea of getting other people in to sell the products. In other words, RECRUITING is the only way to move up. 4. You will have more time for family and your faith. TRUTH: If you really want to earn anything, you have to work a party plan which most often is in the evenings taking you away from the home at night. Plus, you become so busy running from one event, party or meeting to another….you have little time for anything. If you will just do a little math you will discover that the idea of recruiting just five of your friends and asking them to do the same leads quickly to complete saturation. It takes an enormous amount of recruiting to move up in MLM. However, you may be saying that you will just sell the product. But it is very difficult to turn a profit from just selling the products. That’s partly because it’s so hard to actually sell the products and partly because of all the expenses. While I did not go into debt during my stay in MK, I did not make money as a hard working director. Every year, I showed losses. There were many hidden expenses built into any MLM business. I ask myself what people are missing about MLM. How can they read a site like Pink Truth and not “get it”? I have stepped away from Mary Kay. While I have left MLM behind, I want others to see what a waste of time this type of enterprise really is. I gave up a number of years of my life that I cannot get back all for chasing a dream that could not be reached. Presently, I have a wonderful job and evenings to enjoy my family. If you’re involved with Mary Kay or another MLM, I challenge you to really take a look at what you are doing with your life. There are many ways to legitimately earn a living that are far less demanding on your pocketbook, time or family. So lurkers and naysayers… just know that some of us share our stories and information because we do care that others don’t fall into the traps we have stumbled into. They confuse “MLM” as a product or company, and don’t view MLM-ing, aka multi-level marketing, as committing an act. They should. That’s why there are so many repeat offenders. Like it or not, if you are an MLMer, you are promoting a scamming business making you a scammer. “Business” referring to MK corporate as MLMers are not business owners. The founders and leaders promoting a con as something else doesn’t change what it is – a con. It just makes it all the more a scam as they have to disguise it to rope you in. Why is it a con? Because 99% lose money as the result of the other 1% lying and misleading people to give up their money. There are also MLMing sympathizers who tolerate or even support scammers by using the product. A true advocate does not ENABLE bad behavior that causes harm to others. No excuses. You can still love them though, but there should be zero tolerance or like for the company perpetuating the fraud. I am of the belief that we must start calling out all participants. I realize there are some good people who attemp MLMing for good, honest reasons; and UNBEKNOWNST to them, they are participating in a scam. They are probably the ones who confuse a product for a negative act. Hence, why I often post the same message on different articles. Ultimately, there is no excuse for “doing it” unless you are a scammer. With negative acts, there is no other side. That’s the message so sorely needed. I hoping to slowly change the language that the scam companies have seeded in us – which helps their con game. They want to inspire debate. It helps them. It’s all about context. Should we debate which beer brand is better when someone is committing the act of drunk driving? That’s the same as debating the Mark Kay brand when committing the act of MLMing. Having said that, I know the details regarding brands/products do play a role in helping expose the con game. It’s all good as long as the broader message is also conveyed. Thank you MK director for your article as it was very helpful. I am, however, hoping you will now refer to your “Mary Kay career” as “My Mary Kay career of scamming others” or something like that. 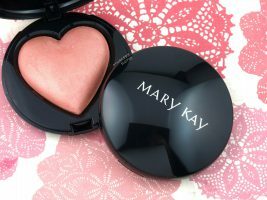 “My Mary Kay career” is misleading and implies you stopped doing something legitimate. Suffice it to say, if you “failed” or stopped scamming others, which you did, you must be a very decent person 🙂 See how that works? Yes, I will keep repeating myself to try to undo all the damaging rhetoric MLMing companies have tainted our brains with. I believe we have to change our own lingo to help people “get it”. There are several MLM’s, on the health trend, selling “magical” vitamins or fitness shakes, at astronomical amounts of cost, the MLM’s, sell you the “snake oil”, that you will be thin, just drink this shake, at $6 a pop, cheaper than a meal! And they want you to buy more, put it on “easy pay” so you save money! Vitamins and shakes are easily found at any discount store, and they are all the same. There is no “diet magic” in a shake. These MLM’s are saturating Social Media, showing you their perfect lives, bodies. They want to be your “friend”, nope, they want you to sell stuff too.